The Weestand, a female-friendly urinal, was field-tested at schools in KwaZulu-Natal – and 79% of schoolgirls who used it thought it was pretty good. If larger tests at schools also work out, such urinals should be deployed in places like malls too, according to a report on the trial. The urinals are waterless, and a self-contained container with 14 of them can be rolled out in six weeks flat. Schools should be a testing ground for female urinals, a new report commissioned by the Water Research Commission (WRC) says – and if they work there, such standing urinals should be rolled out more broadly, including at malls and taxi ranks. The urinals were tested at five schools in KwaZulu-Natal over a two-week project, by what turned out to be mostly primary-school girls. They got a clear thumbs-up from the pupils, with 79% of 236 respondents in a survey rating them better than okay, and only one girl saying the experience of using it was bad. Most of the girls rated the cleanliness of the no-touch urinals as the part they liked best, although they separately overwhelmingly rated privacy as the most important consideration of toilets, then safety. “Schools are potentially an ideal setting to test female urinals, as children more easily adapt to new technologies,” said project leaders Partners in Development in a report on the trial. A smaller survey at various Pietermaritzburg taxi ranks suggest that adult women would be at least willing to try standing urinals. 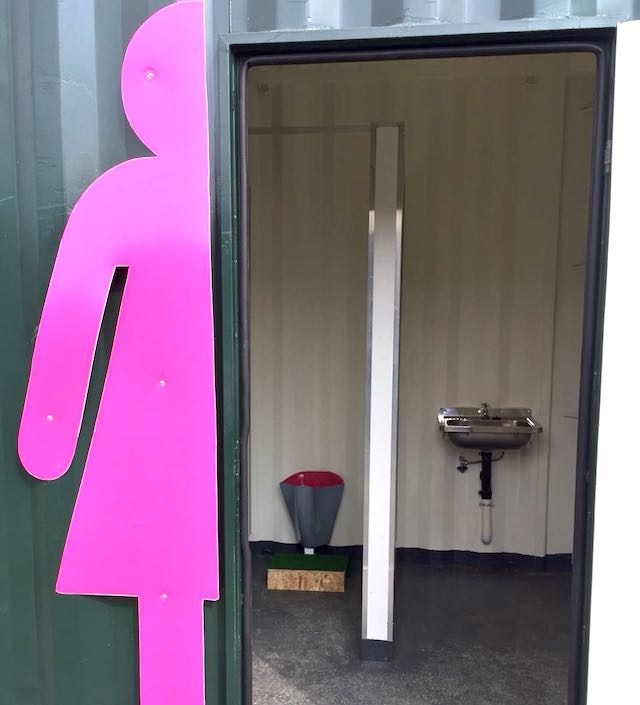 A shipping container with such urinals has a landed cost of R350,000, the equivalent of R25,000 per seat – versus current budgets of R70,000 per seat for the standard ventilated improved pit (VIP) toilets on offer to especially rural schools, and lower-end estimates of R50,000 for each such toilet. 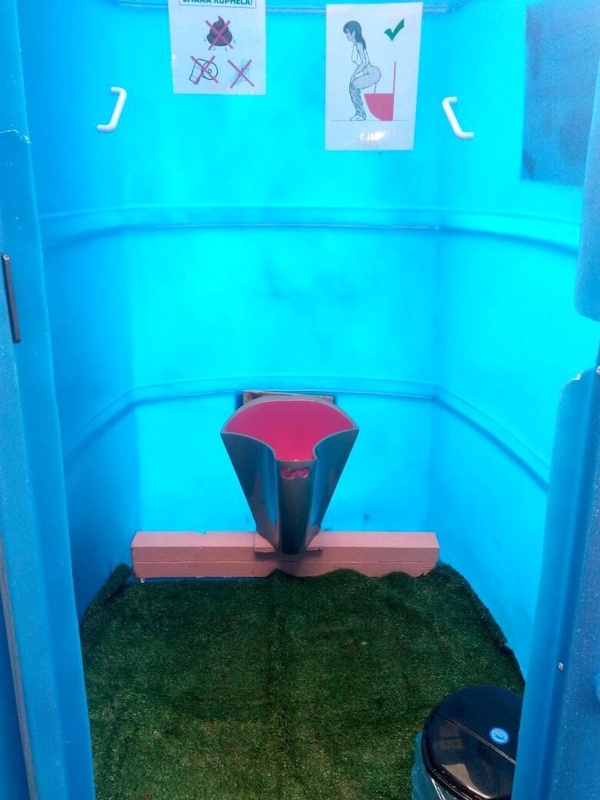 Partners in Development believe a trough-version of the girl-friendly urinals with three stalls could be set up for even less, around R17,200 per seat. 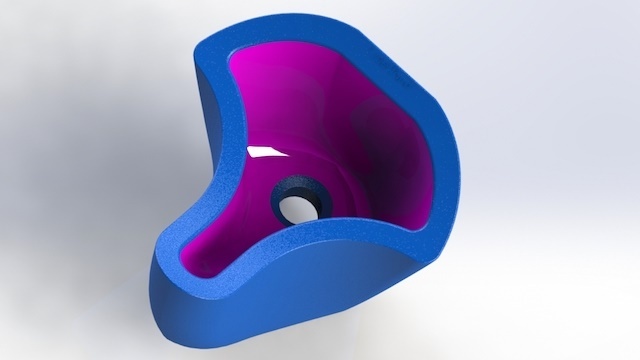 The urinals tested were Weestands, supplied by startup company LiquidGold, which mainly retrofits existing male urinals with non-return valves for waterless use. With a little preparation to ensure a solid footing, a container can be rolled out in six weeks flat, says LiquidGold CEO Orion Herman. The company collects urine from Weestand containers, in the hopes of creating a viable business of manufacturing a component of fertiliser from human urine. The Weestand is unisex and waterless by design, though LiquidGold also markets it as a way to reduce queues in public places. The units are intended only for liquid, and come with a roll of toilet paper and bin in which to dispose the toilet paper. One in five of the girls in the test did not like the having to put used toilet paper in a bin, but most said they would use the urinals anyway.